To stimulate professional development and improve the quality of English language arts instruction at all educational levels. To provide opportunity for group study and discussion of problems which confront the language arts teachers of Oregon. To act as a clearinghouse by circulating information of value and informing teachers of current educational trends and research findings. To stimulate and promote research in the study and teaching of English language arts. To publish significant findings in the form of bulletins, monographs, journals or newsletters. To bring leaders in the language arts and literary fields before the Council. To participate in other language arts activities in the region, such as those of the State Department of Education, school districts, other language arts organizations, and in the regional and national activities of the National Council of Teachers of English (NCTE). 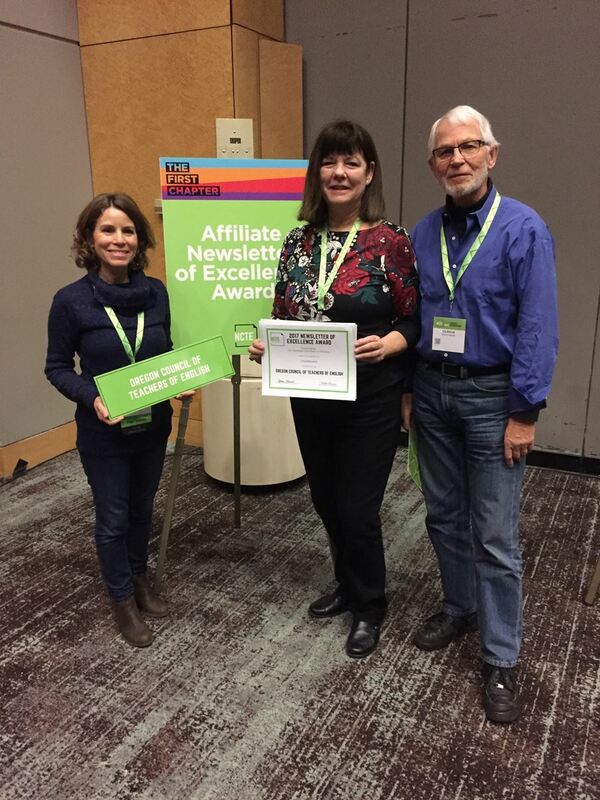 To foster regionalism and internationalism among teachers of the language arts in the Pacific Northwest through conferences, information exchanges, publications and professional activities. To maintain national contact through affiliation with the National Council of Teachers of English (NCTE).